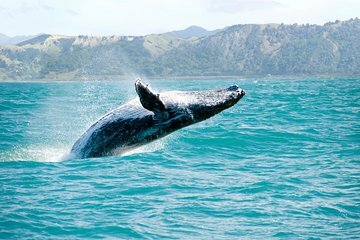 Sail out into Samana Bay in search of migrating humpback whales on a spacious catamaran during this tour. After you spot some whales, head for Bacardi Island in the middle of Samana Bay, to relax and enjoy lunch and drinks. This tour combines both a nature-focused adventure with a relaxing time on the beach, giving you the best of both worlds.